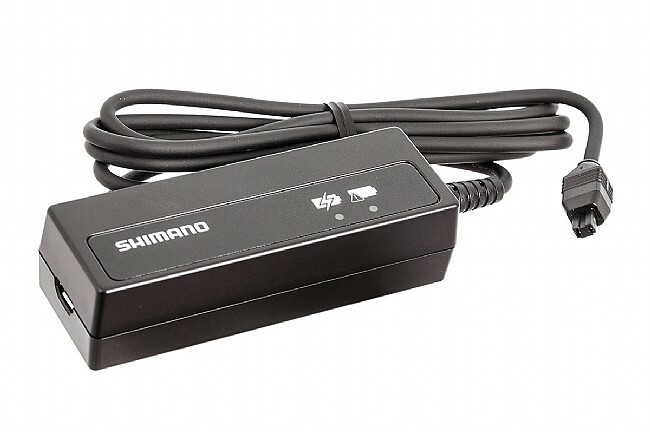 The Shimano SM-BCR2 is the charger for the SM-BTR2 internal seatpost battery used for Dura-Ace 9070, Ultegra 6770, and Alfine electronic systems. Comes with a USB (SM-USB1) power adapter. Purchased as a replacement for the charging unit my Cannondale was sold with stock. Good unit, necessary for the Ultegra DI2 shifters. If I'd known how spendy these chargers are, perhaps I'd been more careful with my original which I lost! Works as described, and just identical to the stock DI2 Shimano charger my bike was sold with. Thx WBW for saving my bacon.